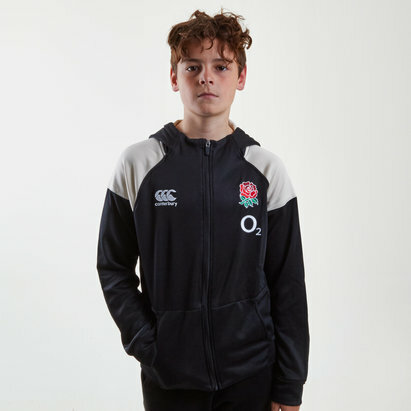 Stay warm when you train, go out and about or to Murrayfield in this 18/19 Scotland 18/19 Kids Travel Ful Zip Hooded Rugby Sweat from Macron. 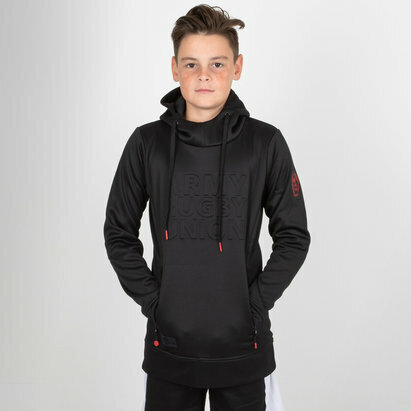 Innovative performance meets comfort and style in the Travel Hooded Sweat. The soft cotton feel fabric and flattering fit offer superior comfort, while the material used keeps you cooler and drier. The wingtip collar with ventilation at the back gives additional comfort with a modern look. Forward facing shoulder seams prevent irritation when carrying a backpack while the drop back hem eliminates garment rise during activity. Look great, feel great and support your team! 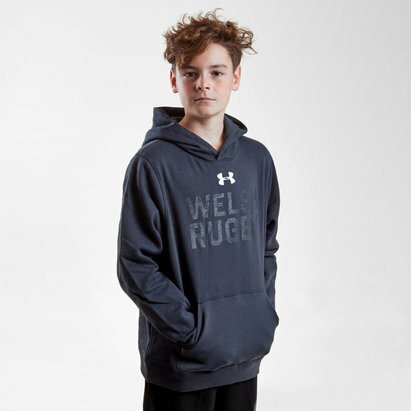 This sweatshirt comes predominantly in black with grey detailing. 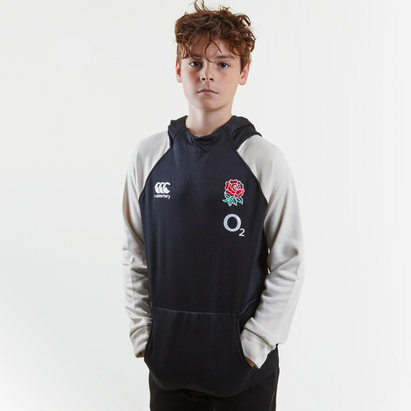 The Scotland rugby crest is printed on the left in grey as worn whilst the Macron logo is on the right sleeve in grey. Model is wearing: Size 5-6 years.